Signs You Need a New RoofPerformance Roofing, Inc. When a roof is damaged in a storm it is easy to see what needs to be repaired. But most roofing problems do not result from direct damage, but are caused by years of constant wear and tear. In short, roofs get old. The secret to keeping your home protected from the weather is to judge when a roof is “past its prime” and in need of repair or replacement. 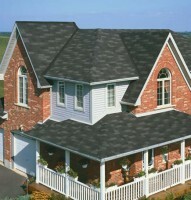 Performance Roofing has inspected, repaired, renovated and replaced roofing system all across New Hampshire and Maine. Our Maine roofing and New Hampshire roofing professionals are trained to identify and evaluated potential problems in all areas of a roofing system, with an eye toward correcting small issues before they become big, expensive trouble. Here are signs that your Portland roofing system or Seacoast roof may be in need of serious renovation or replacement. If you see any of these signs, call the professionals of Performance Roofing to schedule an inspection of your roof. We’ll provide you with an honest evaluation of your roof’s true condition and a list of recommendations to correct any problems we discover.